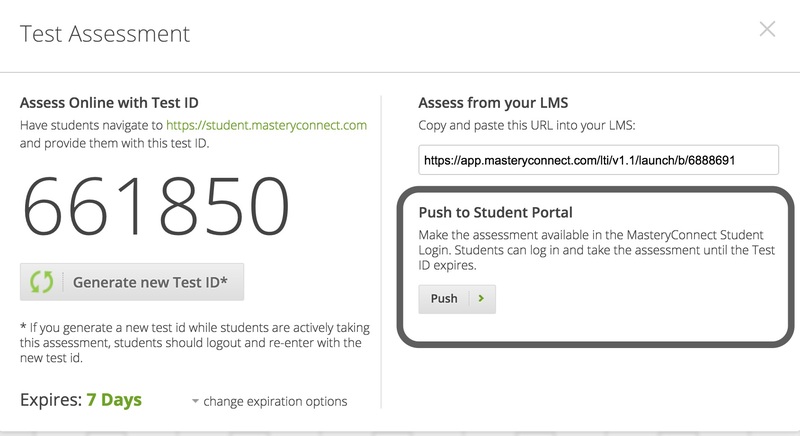 When you make assessments available to students in their MasteryConnect Student Login, they can take assessments without a test ID. The MasteryConnect Student Login is a premium feature that is only available if your school or district has integrated their Student Information System with MasteryConnect. 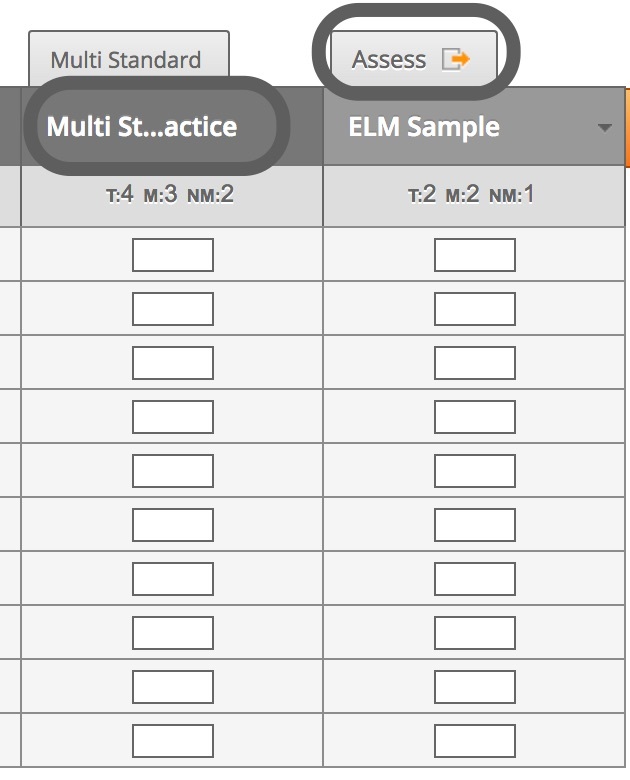 Click on Trackers, and select the tracker that contains the assessment you want to assign. Hover over the title of the standard that contains the assessment, and click on Assess. For a single standard assessment, click on the Assess Tab. For a Multi-standard assessment, click on the assessment title, and then click on the Assess Tab. To send the assessment to the student portal, click on Push. To end the assessment, follow the same steps as above, and click on Remove.